Love is in the air this month, and clients will be looking for the perfect gift for that special someone. From traditional Valentine’s Day gifts like necklaces and rings, to unique products that can’t be found at traditional retailers, they can treat their significant others (or themselves!) to something sweet. 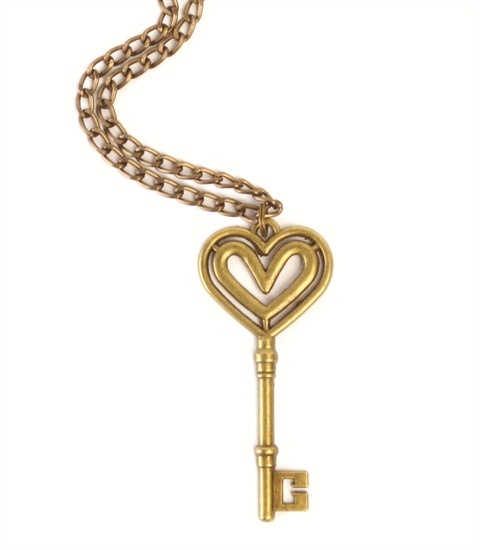 This necklace from Mexico-based jewelry manufacturer Zahuczki is the perfect way to say, “You have the key to my heart.” The charms are made from Tibetan antique bronze, which is both lead- and nickel-free. Buyers can select any chain length. A Day with Rae’s novelty teabag company creates hand-sewn teabags for all kinds of special occasions. 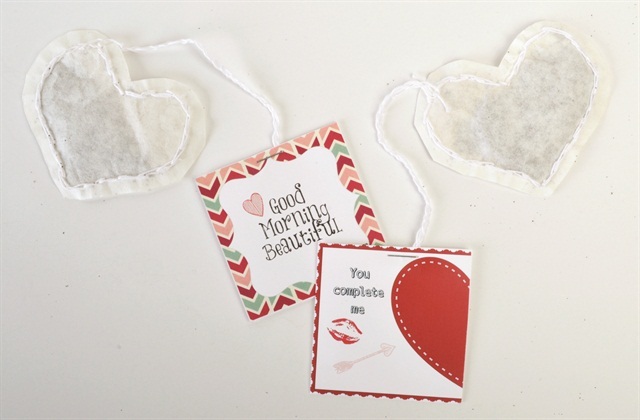 “Tea Bag Tea Tags” can be mixed and matched with different teas, come in larger sizes, and can also be personalized. Hand-sewn tea bags mean that extra care and love go into each heart-shaped bag and make each charmingly unique. 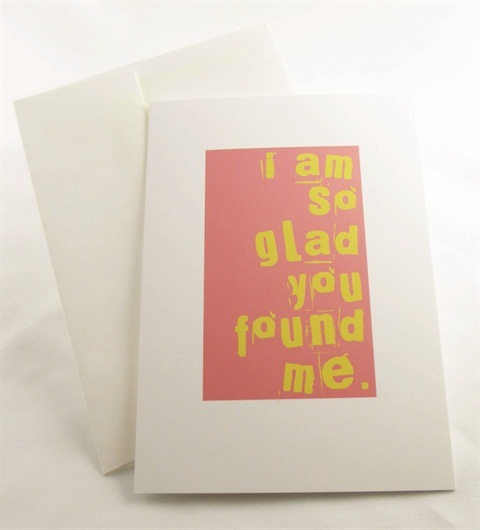 Inklings Paperie’s “Things I Love About You” cards are the perfect gift for Valentine’s Day or any day. 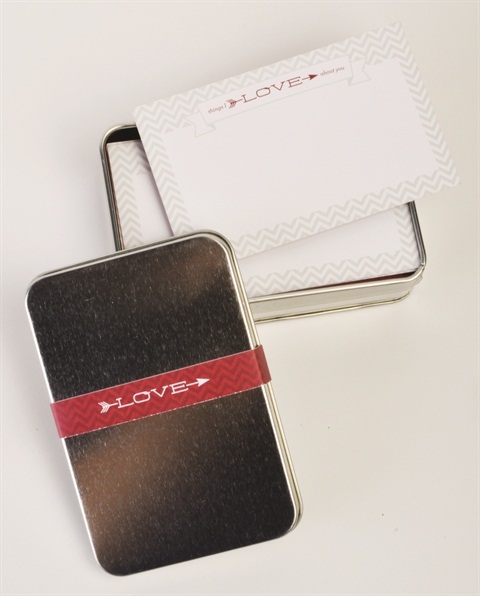 This sweet tin of 12 notecards provides an easy way to tell your loved one all the little things you love about him (or her), and will become a treasured keepsake for years to come. The tin comes wrapped in a hand-stamped, muslin drawstring bag. 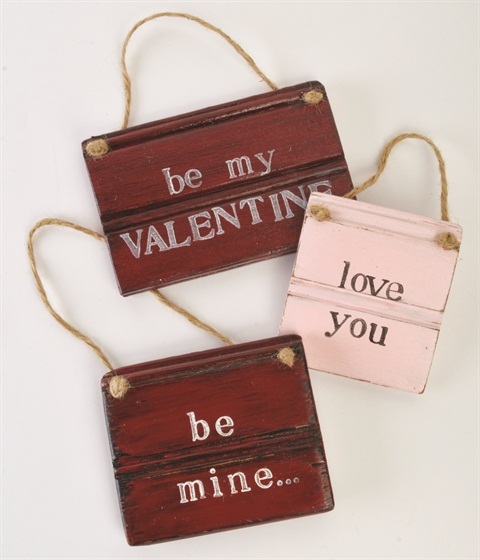 Give a message of love this Valentine’s Day with these hand-stamped rustic wood signs from Hope Farm Co. The “be my valentine” sign is 5” x 3” and hung with a jute hanger. The signs have been painted, distressed, and lightly coated with polyurethane. This delicate and feminine script love ring from Envero Jewelry comes in either solid 14k or 18k silver, gold, or rose gold plating. This ring is a perfect gift for yourself or for a loved one. It can symbolize love, friendship, or the bond between you and your beloved. M.Ren, the owner of online print shop Scribble&Tweak Papercraft, encourages everyone to send Valentines the old-fashioned way: with love and a stamp. Each design is handled individually and printed giclee-style with archival ink on ultra-smooth, acid-free, bright white paper, and comes with a matching eco-friendly, square-flap envelope that is protected in a sealed cello sleeve.